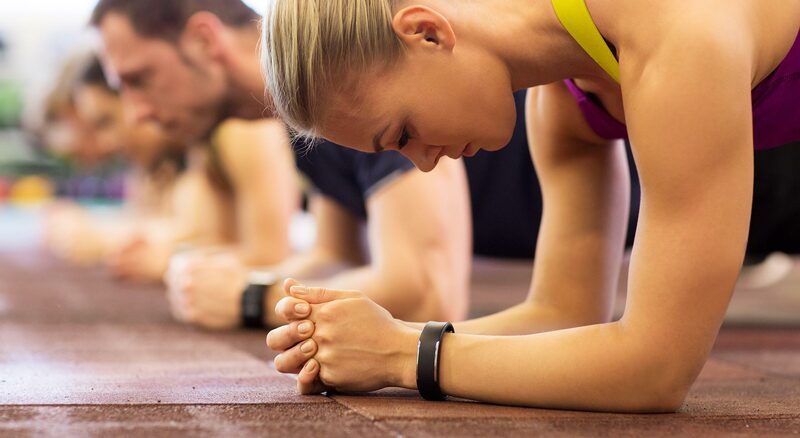 Computools team was the first to test EMtrackers fitness trackers in Ukraine. Developed by a Ukrainian IT startup, Force Emotion, the devices helped the team define the most comfortable work hours to reduce stress and prevent burnout. Health, like time, is a vitally important resource, and it requires careful monitoring. Conveniently, IT solutions can also be successfully applied in the health sphere. One of the most useful IT inventions for the Health & Wellness industry, enjoying ever greater popularity across the globe, is fitness tracker. This device assists in comprehensive vital signs measuring. Collected statistics of such health data helps towards much precise diagnostics. Fitness trackers are not only popular in Ukraine. One of the Ukrainian IT startups, Force Emotion, created the EMtracker, their own fitness tracker (based on their solutions). This fitness tracker looks like a bracelet that anybody could wear, but its main purpose is to prevent job burnout, which is a common problem. Force Emotion was founded by a group of graduates from the Kiev Polytechnic Institute with their leader Liza Voronkova. The main problem of many fitness trackers is that they either detect human fall incorrectly or detect any movement as a fall. The EMtracker resolves this problem with the help of an integrated algorithm which compares biological stress indicators against activity data. The EMtracker measures 20 different vital signs such as heart rhythm, sleep quality, physical activity and other. The technology embedded into this tracker is based on recordings of two general measurements that allow to define the level of physical stress. The first one detects heart rhythm fluctuation, and the second one measures skin transmitting resistance. When someone feels stressed, the chemical composition of his skin as well as his puls frequency changes. By recording these indicators it is possible to track stress levels. By developing this fitness tracker, Force Emotion became the first Ukrainian startup company to receive an invitation from Alchemist, the Stanford business incubator. Additionally, the team has also submitted an application to Kickstarter and raised US$ 30.000 for their device production. Stanford University was the first to invest in the company and to buy stock shares. They also financed the production of the first shipment of the bracelets. Next came the USP capital venture fund that also invested into Force Emotion. The first shipment of 20 items was produced in China, and the company agreed with a Californian nursing home to test them. The Force Emotion team has researched causes of raised stress levels and ways to even them out. Stress acts as a barrier slowing down both the decision-making process and an adequate perception of reality. In order to avoid irrevocable stress sequences, it is necessary to stall the stress through instant mind-focus switching. The Force Emotion software provides practical recommendations on what to do when you feel stressed after considering the vital signs for each case. The majority of people spend much of their lifetime at work, and this is where most nervous breakdowns happen. That is why the Force Emotion team came up with the idea of preventing burnout by developing the EMtracker. Their software provides practical advice for each case when stress levels exceed normal rates. For example, a user may receive the recommendation to eat citrus fruits, since vitamin C reduces cortisol levels (stress hormones) in the body, or to take a short walk. It sounds rather simple, but following such advice brings positive results. Force Emotion created a demo-program of their product. This includes 10 trackers that are given to the testing company to be worn by their employees for a period of 10 days. During this time the functions and benefits of the bracelet can be tried and tested. For instance, a company may want to figure out the least stressful work schedule for their call-center staff. To achieve this, 5 people from the day-shift and 5 people from the night-shift get the trackers, and after the test period, a special software application provides them all with the verified results. The results demonstrate which work hours are most stressful and how each employee reacts to them. Following this, the managers are able to schedule the shifts so that each is manned by the optimal team, thus achieving the best productivity and keeping the health of the staff within safe limits. Computools promotes a healthy lifestyle and cares about their workers, so they become the first team to test EMtrackers in Ukraine. Also, Computools appreciates a healthy corporate culture, so when they spotted this program, the decision to participate was taken instantly. Computools just loves digitization and celebrates any opportunity to get digital down to the last corner, so the new classy device that is helping them to define the best and most comfortable work hours fits them exceptionally well.